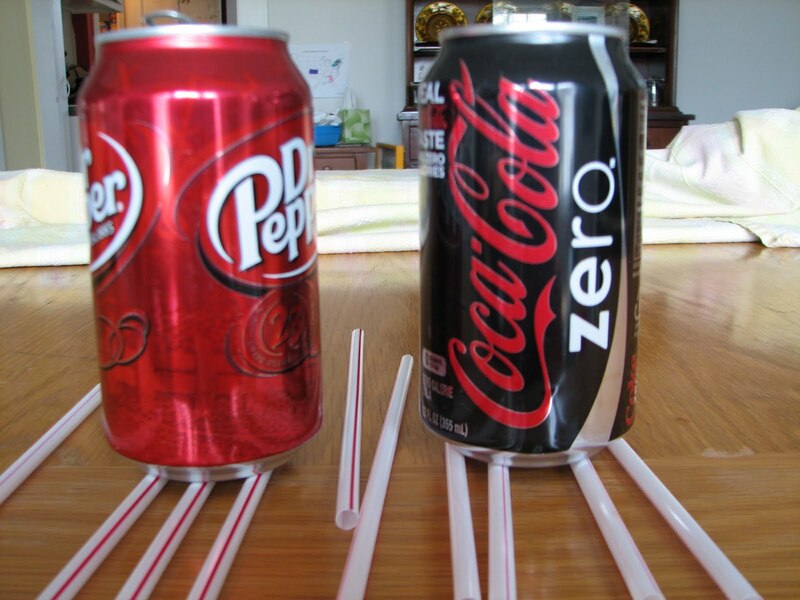 This demonstration is very similar to the balloons and the cardboard tubes. First, lay two empty soda cans on their sides a few inches apart, parallel to one another. Blow between the cans and watch them roll together. 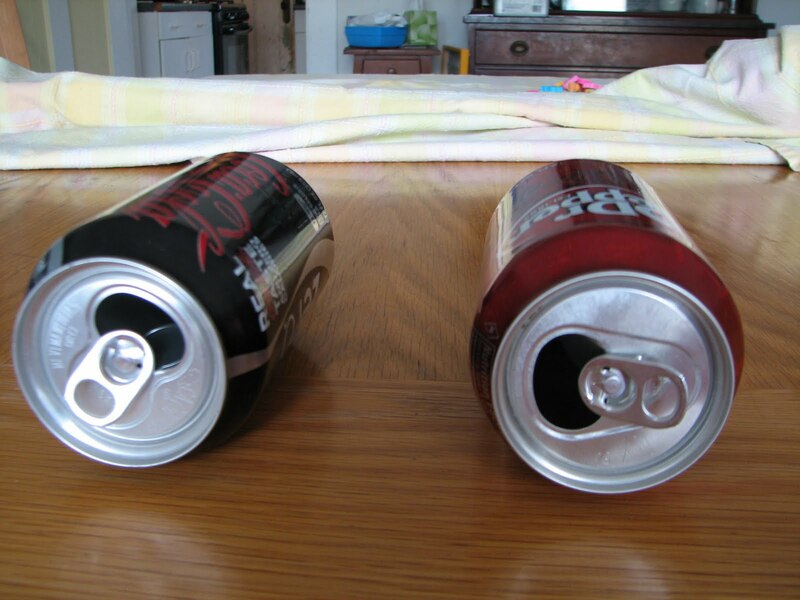 It happens because you've pushed the air molecules that were between the cans out of the way, so the air pushing on the opposite sides of the cans is unbalanced and the roll together. Set up a bunch of straight straws parallel to one another, about half an inch apart from one another. 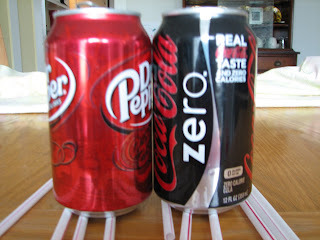 Set the two cans upright on the straws, a few inches apart. 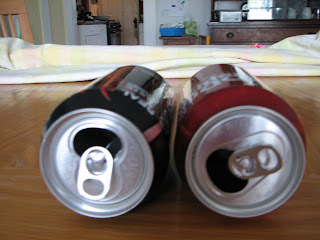 Blow between the cans and watch!